I have finally worked out how to post to our school website! The children have had a fabulous start to Year 1 and are really beginning to settle. I would like to thank them all for their hard work and to all of you for your patience in getting up and running. 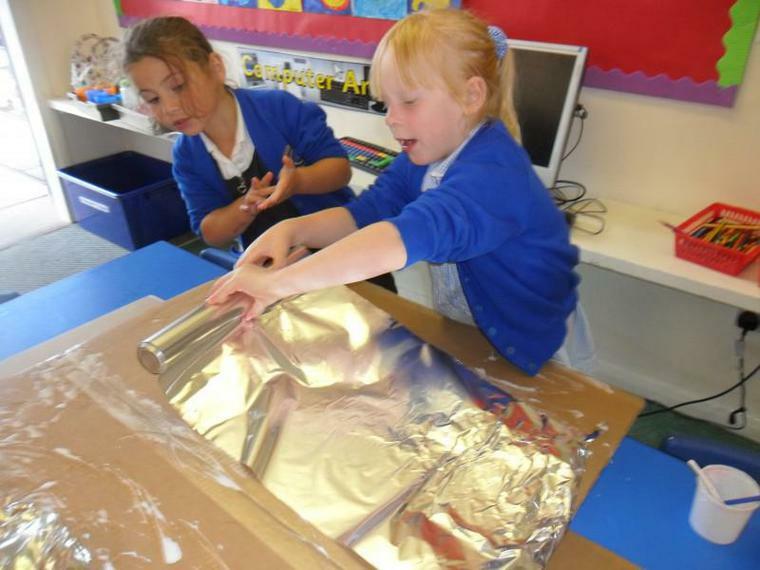 We have had a brilliant start to our project on Aliens. 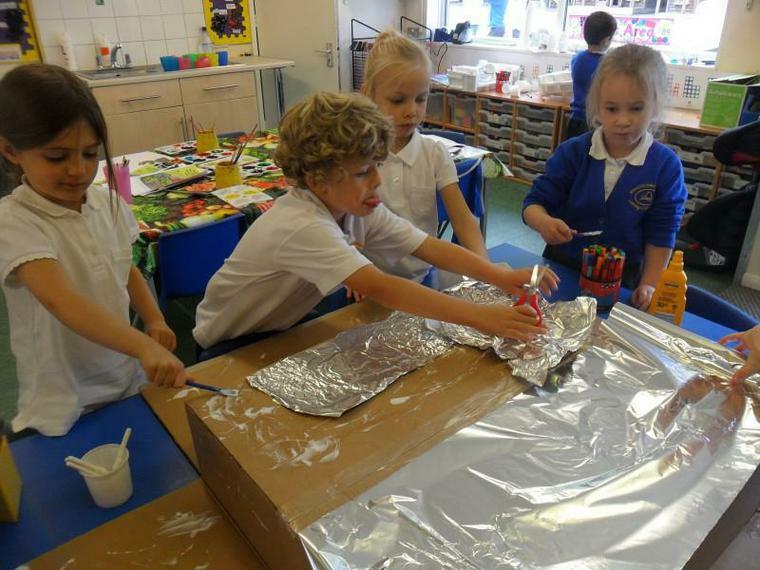 The aliens crashed landed into our class last week and we are now busy making plans and rebuilding their spaceship! We have also been very privileged to have Oxfordshire sculptor George Lewis working with us. 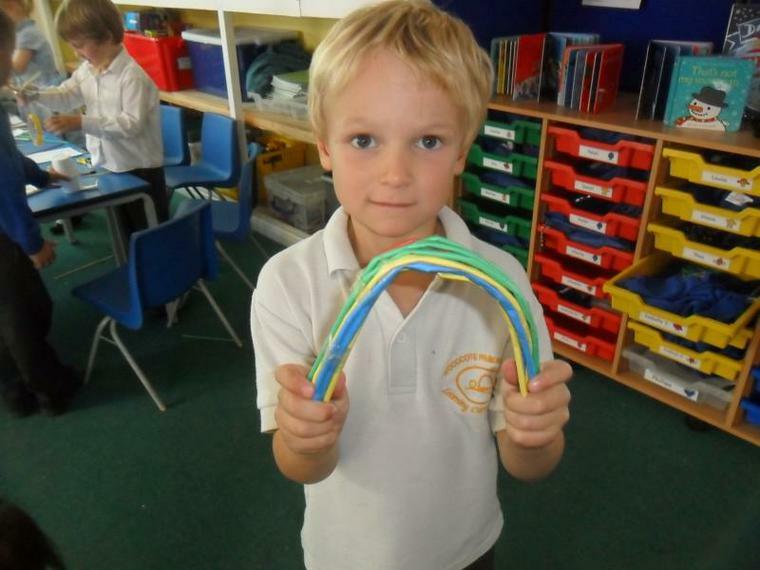 Last week he helped us to look at materials and their properties for building. 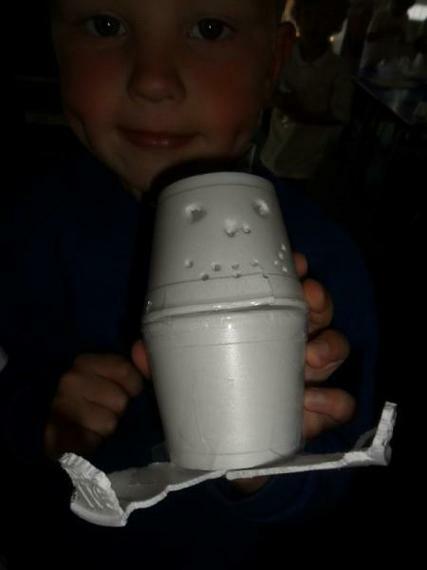 Here are some of our mini sculptures using cups and art straws. This week he will be joining us again to begin our alien designs. We will be also collaborating on a large scale project in the near future. We are hoping to host an exhibition of our work so watch this space! Feel free to visit and look at our sketch books anytime and don’t forget to keep an eye out for Murp, our resident alien!